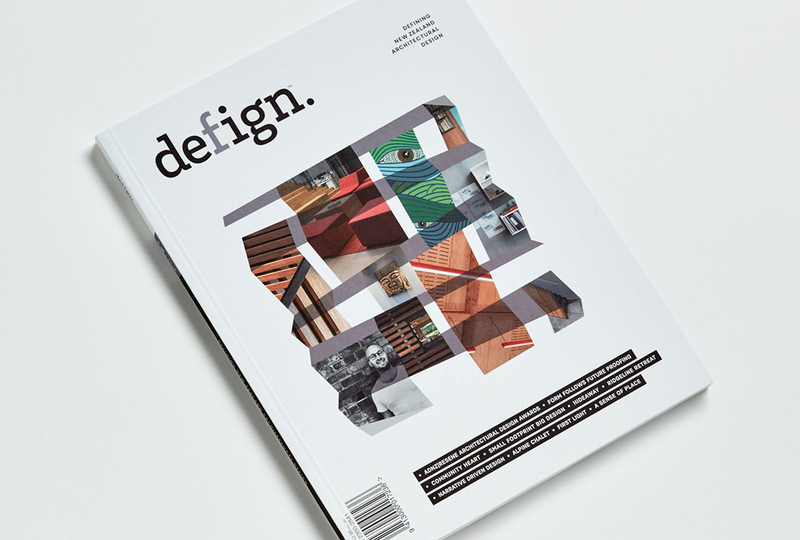 It’s hard to believe that Defign Magazine is entering its sixth year. In six short years we are proud to have seen our magazine become an essential record of New Zealand’s top architectural talent. A gallery showcasing the ADNZ | Resene Architectural Design Award winners, Defign Magazine is for anyone who loves New Zealand architecture and design, is thinking of building their own home or is an industry professional. Adrienne Anderson, Editor of Defign Magazine, says issue six will not disappoint Defign’s loyal fan base. “We explore several key themes in issue six. First the impact the earthquakes have had on Christchurch’s design landscape. Some may say this story has been told, but we argue that the city is now entering a new design phase. What a wonderful time to live and work in this magical city. Many of the projects featured in Defign Magazine are the result of designers battling through a range of earthquake related challenges to make their designs a reality. Often these homes are in prime locations but on difficult sites. Look out for Girvan Street by Nicholas Mann and Nayland Street by Kelly Rush. “Secondly, we see many new, emerging designers gracing the pages of defign in 2018. These designers are exciting, energetic and bringing new ideas to New Zealand architecture. We are excited to give these young, up and coming designers a platform to showcase their work,” says Adrienne. In addition, this year’s defign magazine features a 16-page insert dedicated to the SNUG project. A PrefabNZ design competition, the SNUG project called for designs that could be complementary dwellings located in the back garden. A SNUG home must be smaller than 65m2 and must be a manufactured building. That means that they are designed to be made offsite, under controlled manufacturing conditions, before being transported to site, either whole or in pieces, for assembly. The 12 incredible finalists will be featured in the Defign Magazine insert. Keep an eye out for the magazine landing at your New World, Countdown, Paper Plus and Relay stores in early November.